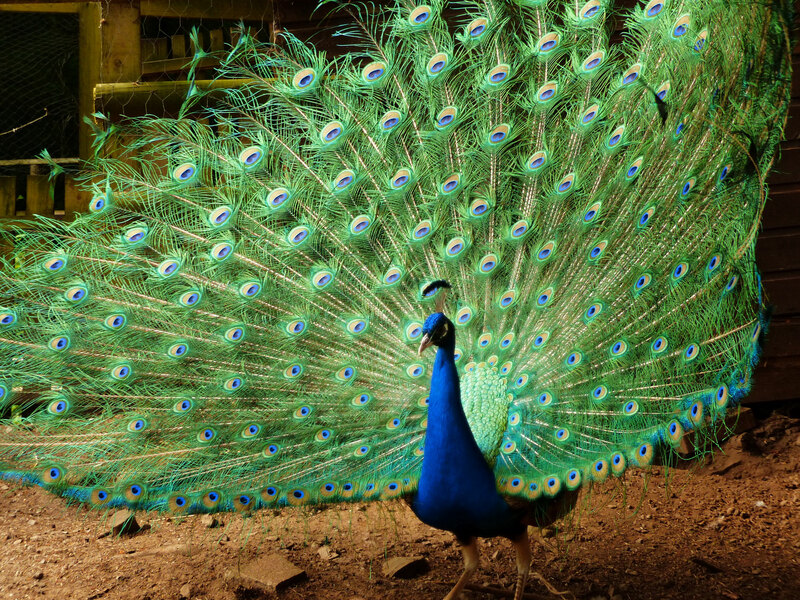 It's quite a rare treat to see a peacock. 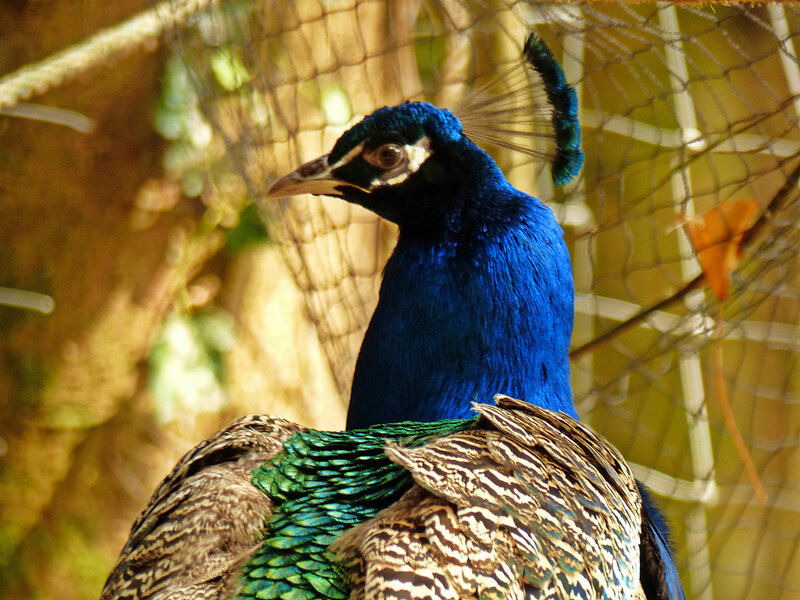 It's not a bird you're likely to come across every day in your garden unless, of course, you live in a posh stately home on a private estate with its own gamekeeper. 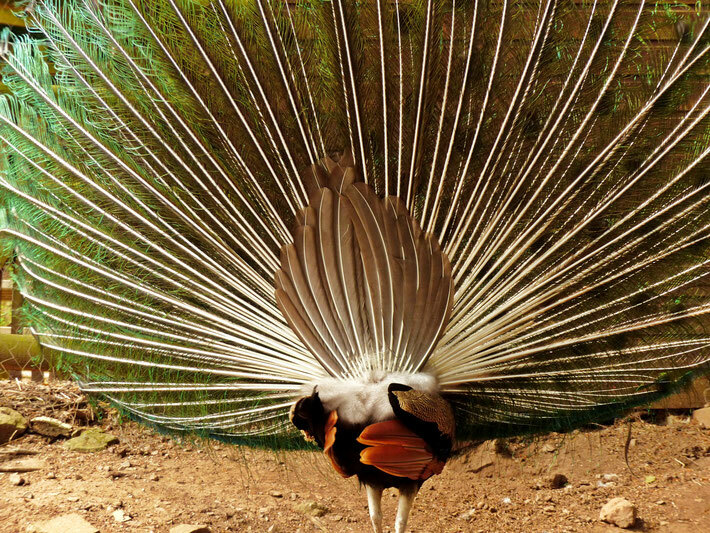 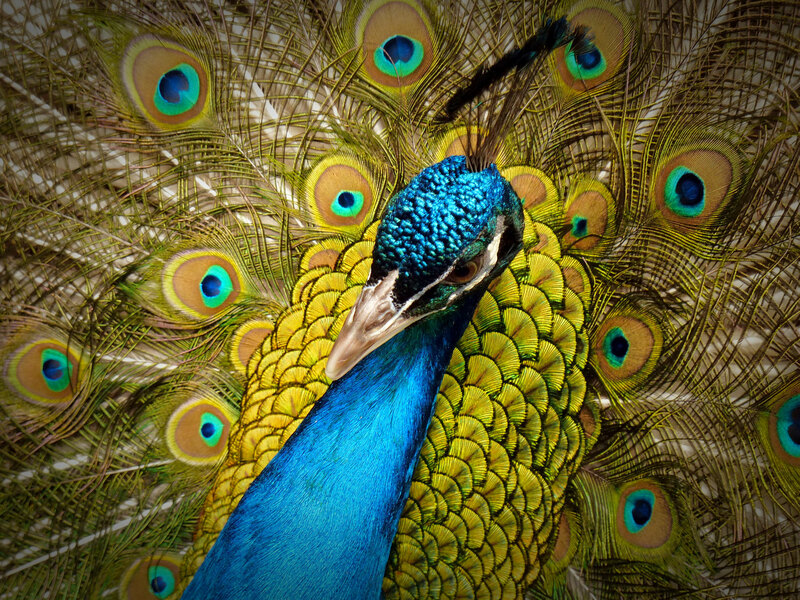 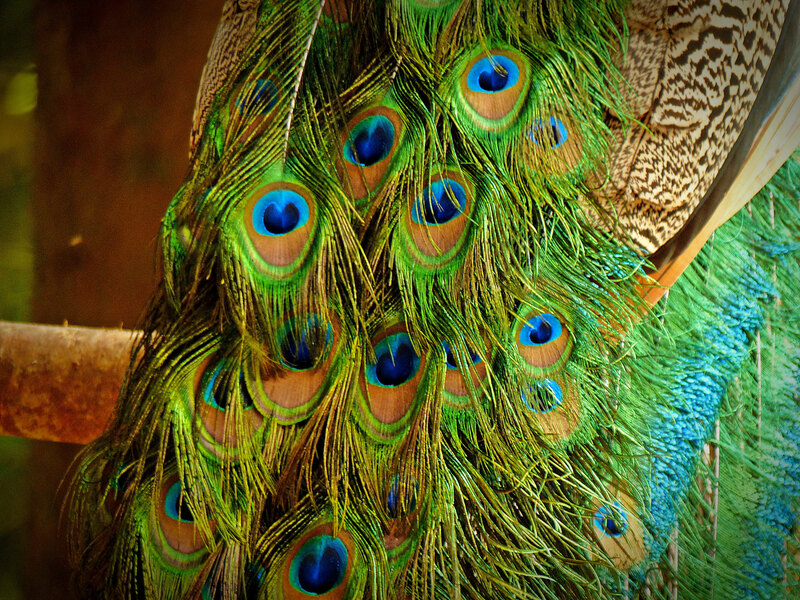 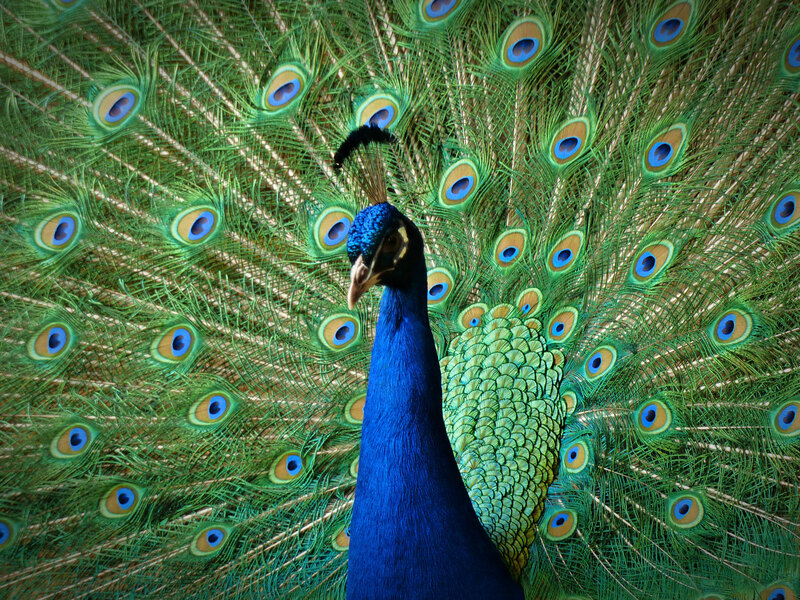 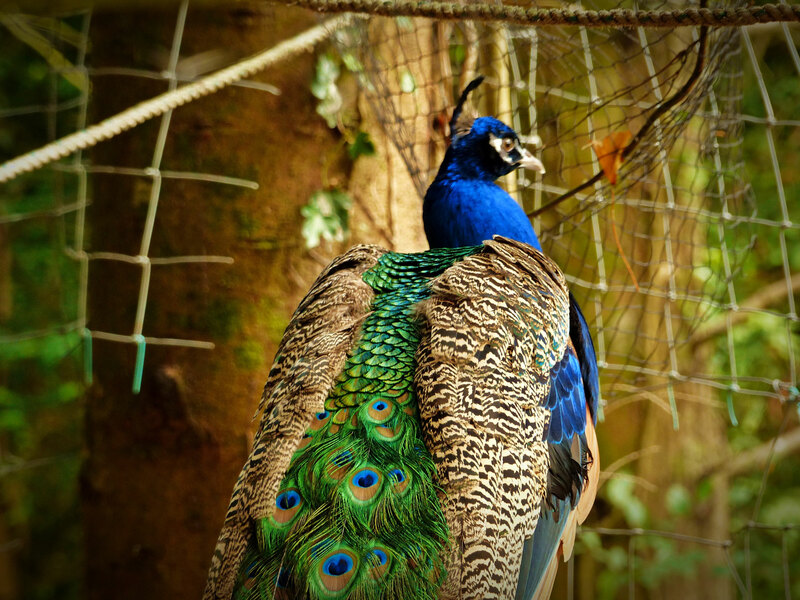 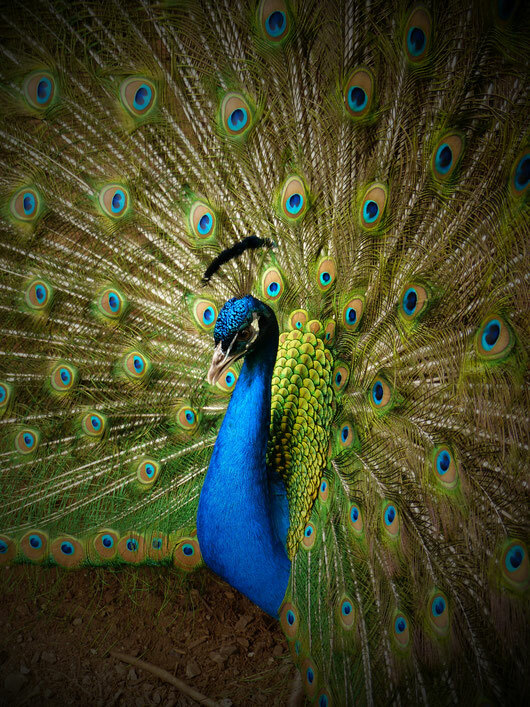 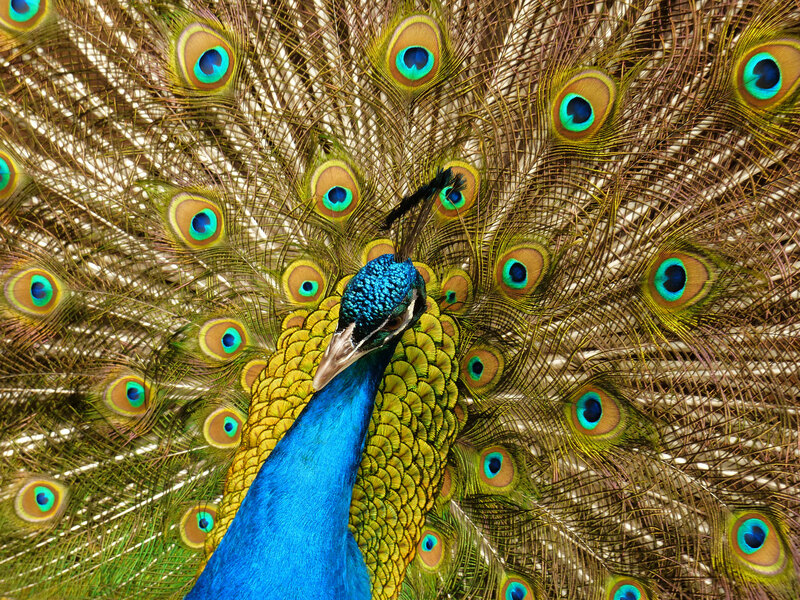 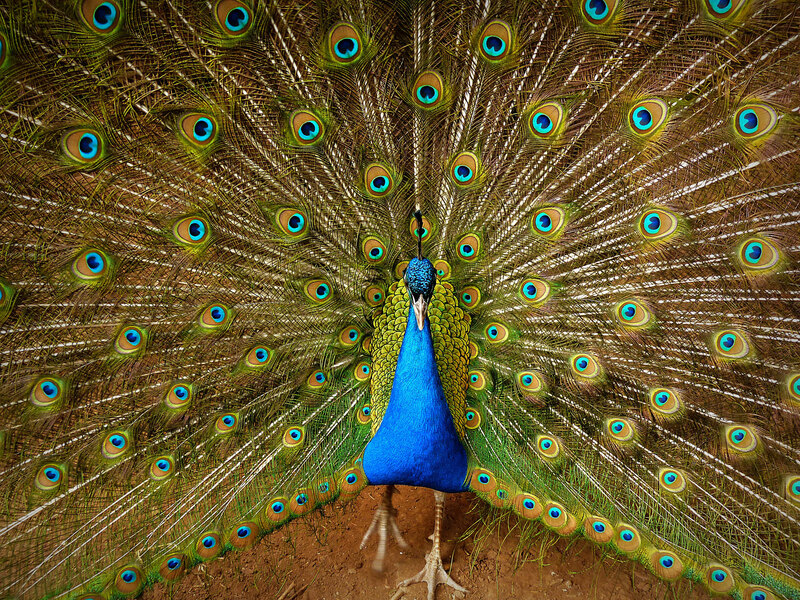 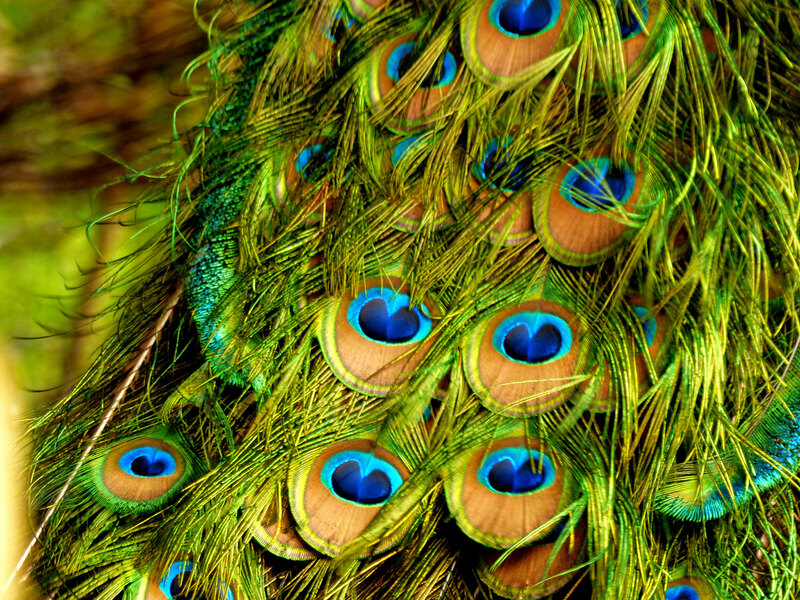 I have seen a few peacocks in my time and have sometimes been so overwhelmed with the beauty of their colourful feathers that I got the goosebumps.... or more accurately, felt the pleasure of God over his wonderful creation. 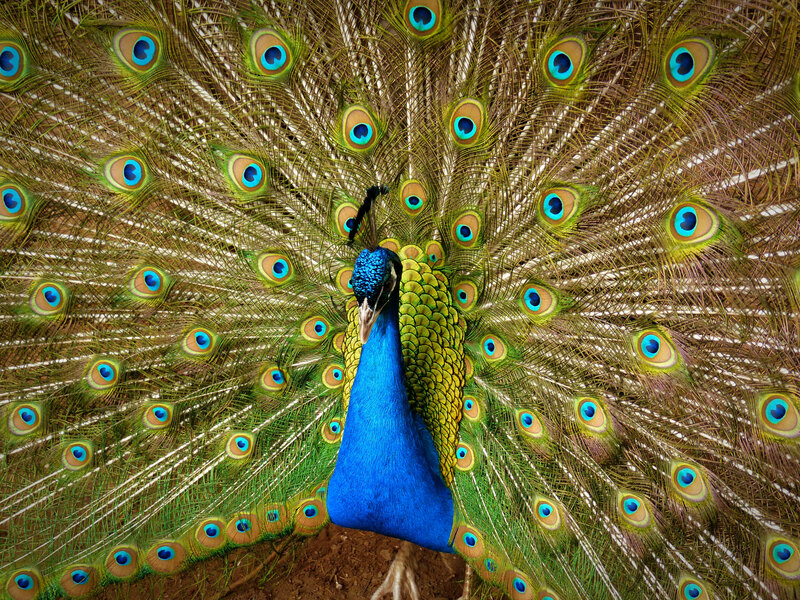 Photographing such a sight is another matter. 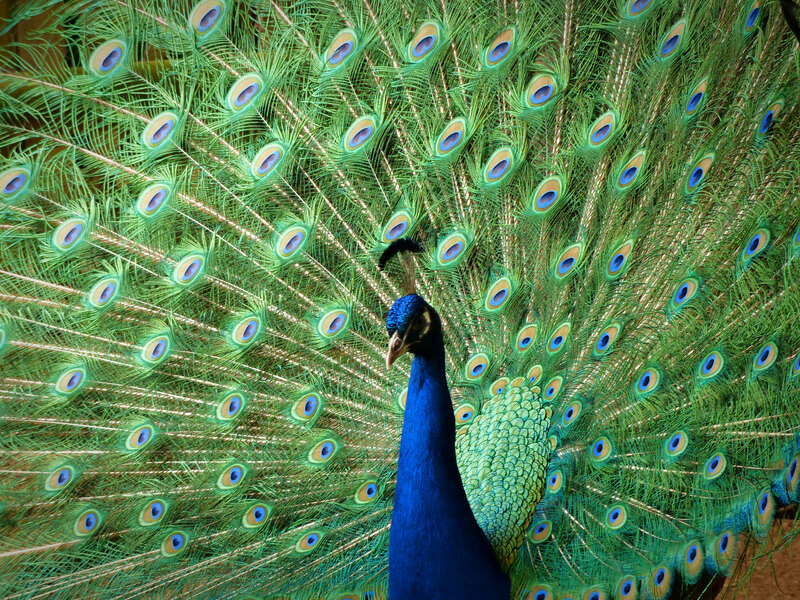 I have had some good results in the past but one shot has eluded me my whole life - the shot of a peacock's full feathers. 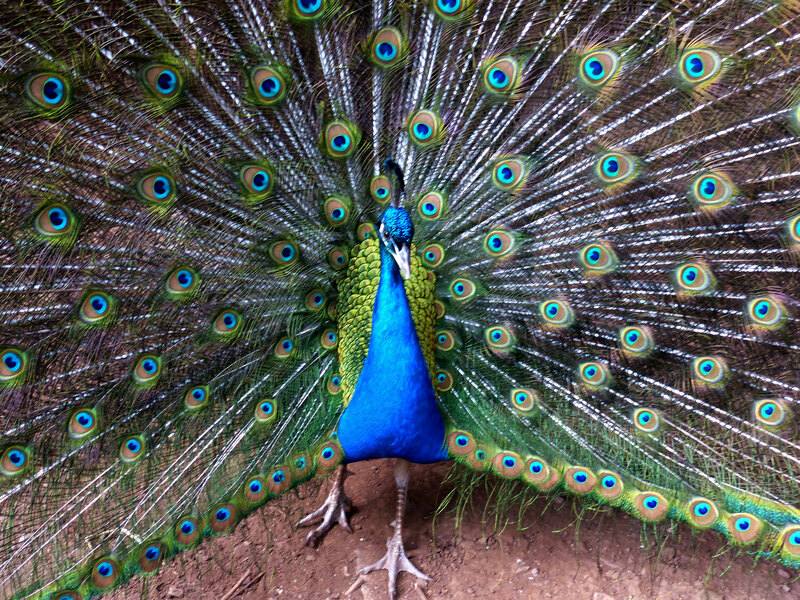 The problem is that this rare display is often behind a wire fence and very tricky to get a camera to focus on it. 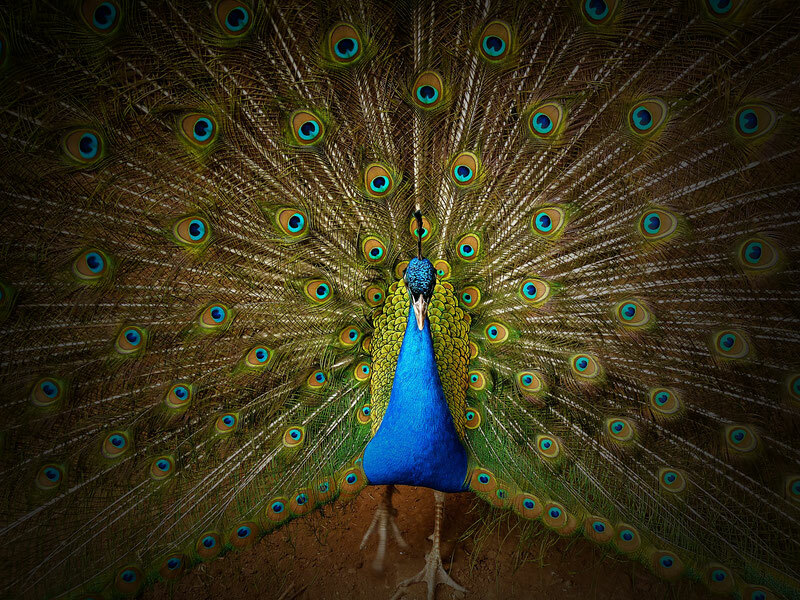 Well, today I finally got the shot, got the goosebumps and I also felt God's smile because He knows this was something I have wanted for a long time, and it just happened to be on the very day this new website goes public. 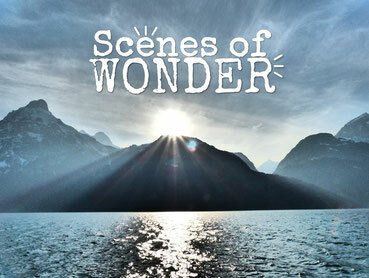 Thank you for stopping to consider God's wonders, please have a look around the website and let me know what you like. 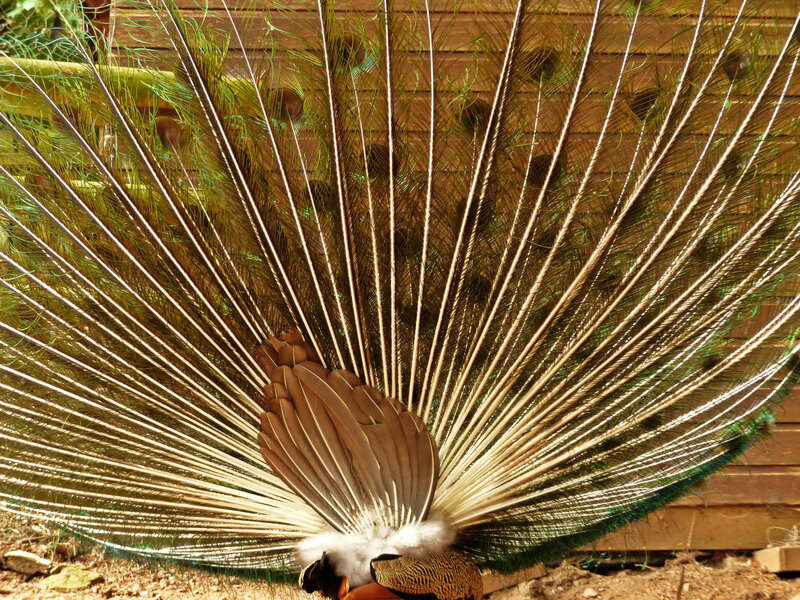 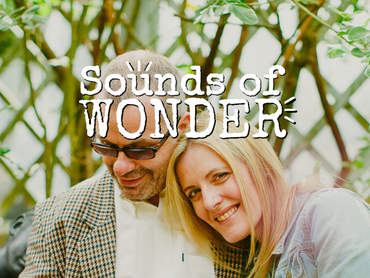 Thank you for stopping to consider the wonder of this beautiful peacock and sharing its splendour with us. 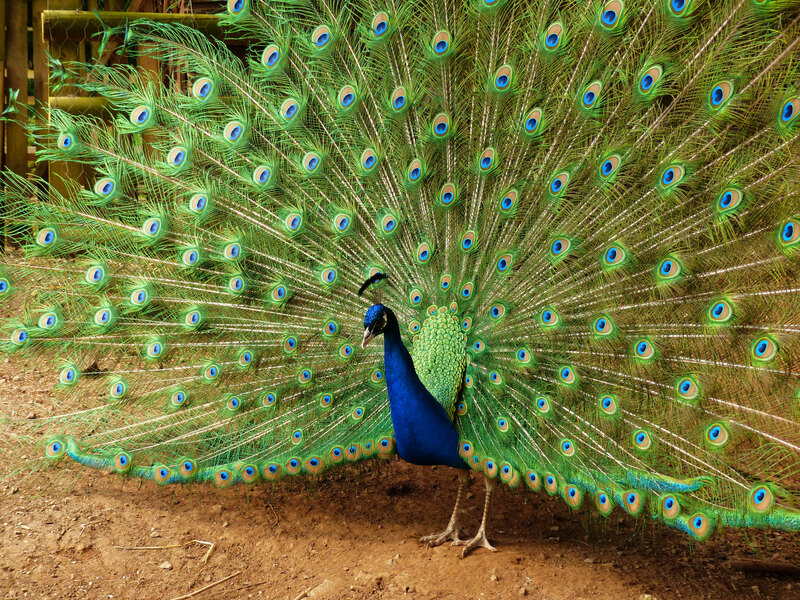 It feeds and lifts my spirit and soul. 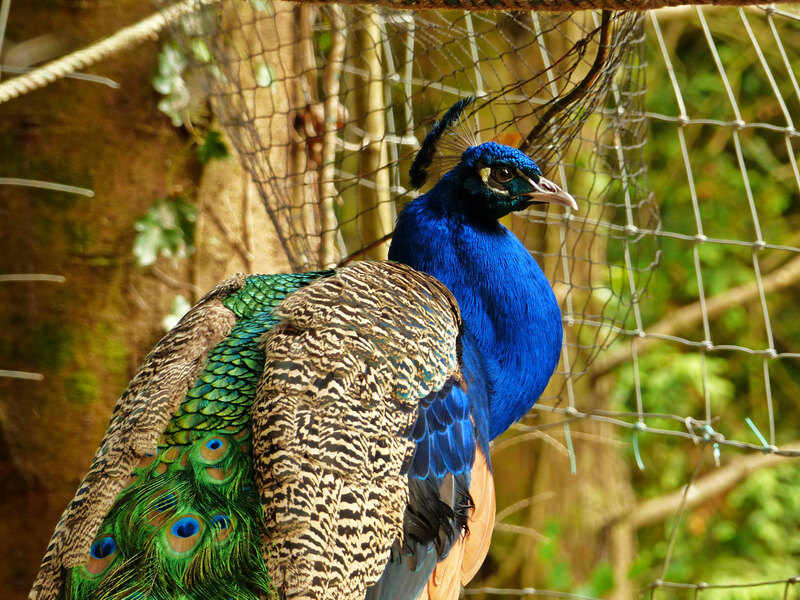 Delighted for you to have got your longed for shot!